Popular destinations may not be favored by the photographer who may, instead, prefer something new and fresh without fellow travelers creeping into shot again and again. In this article, then, we consider China from the point of view of the photographer with an assortment of destinations to get you started and give you a taste of what is to come. Xitang is located on a plain, and provides the photographer with a peaceful, natural environment packed with both scenic and cultural locations. With nine rivers converging upon the town, it divides between them into eight sections. These sections connect with one another by bridges and these, along with the riverside buildings well-preserved from the Ming and Qing dynasties provide the perfect &apos;Chinese&apos; ambiance. A living town in its own right rather than a museum of architecture, the activities of the townspeople give life to the location offering still more variation in scenic opportunities given the traditionalism of their daily activities. 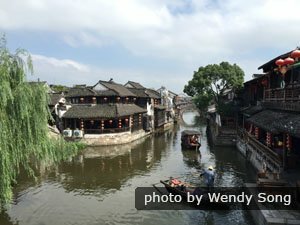 Read more about Xitang Water Town. 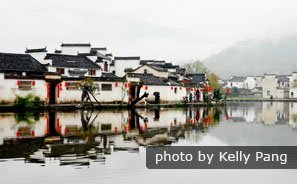 Xidi and Hongcun Ancient Villages were listed as World Heritage Sites by UNESCO in 2000. Representative of the very specific style of southern Anhui province, the residences have their own unique style and are abundant here, 124 in total, along with three larger ancestral halls. 900 years of history have served the villages well in enhancing their beauty, giving them authenticity in a land which, all too often, is losing its ancient buildings to modernization or crude reproductions. Again, it is the Ming and Qing dynasties that are to the fore. Read more about Hongcun Village. Be particularly wary of extreme temperature fluctuations throughout the day. Mornings and evenings may be particularly cold. 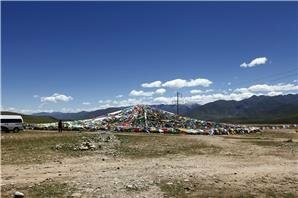 The Tibet Autonomous Region of Xizang in the south west of China has a land area of 1.22 million square kilometers, its population sparse at 2.3 million. With an average altitude of over 4,500 meters, it earns its title “The Roof of the World”, albeit an alternative, nickname, “The World&apos;s Third Pole”, is somewhat more obscure. 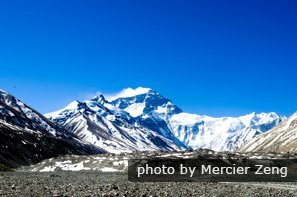 The Himalayas, the highest range of mountains in the world, straddle the border between China and Nepal at Tibet, with Everest one of the border peaks. The snow-capped-and-coated mountains, the blue purity of the lakes, abundant wild life and clear blue skies have much to offer the photographer, as do the unique costumes of the local inhabitants and their renowned religious rites, buildings and relics. However, be warned that the region is frequently closed to foreigners, and such closures may happen at exceptionally short notice. Contact us through the links at the end of this item for the latest information and any additional rules and regulations should you plan on visiting the region. 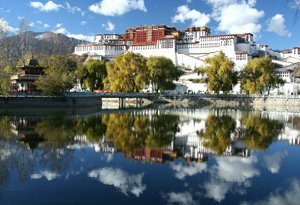 Read more about How to Plan a Tibet Tour. Tiger Leaping Gorge, the deepest in the world. Given its elevation and the clean air, sunburn can be a particular problem in the highland areas. Bring sunglasses to protect against glare, particularly if photographing in snow, and a hat. Lijiang is situated in the north west of Yunnan Province on the Jinsha River. It has a long history, originating in the Yuan Dynasty (CE 1279-1368), and thus displays many of the characteristics local to the area and to its culture. After its founding, it was to become an important stopping point on the &apos;Tea and Horse&apos; Caravan trading road. The local Naxi ethnic minority lend indigenous local colour to cobbled streets and willow-shaded canals, lively markets and waterside cafés. 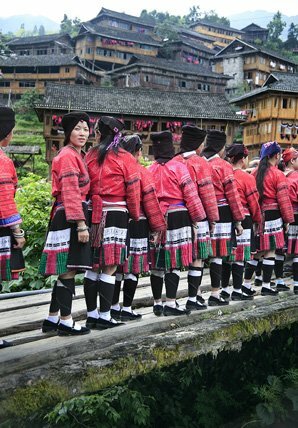 The Naxi are not alone, however, and diverse ethnic groups in the town are one of the main reasons for it to have been placed on UNESCO&apos;s World Cultural Heritage list. 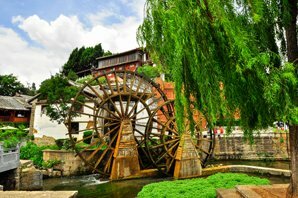 Read more about Top Things to Do in Lijiang. Spring and Autumn offer two very distinct weather patterns, the former wet, the latter dry and sunny. The wet season is recommended for more atmospheric photography with mist and rain, but you may be unlucky in achieving the right balance between &apos;atmosphere&apos; and &apos;miserable&apos;. Autumn is more dependable but, equally, is thus more predictable which may not always be a good thing when seeking originality. Guilin has become famed the world over for its karst peaks, not least given that they have been the inspiration of traditional painters through the centuries who, in their fantastical ink renderings of its landscape, have given the world one of China&apos;s most characteristic cultural traditions. It may be difficult for the viewer of these paintings to imagine such landscapes may exist in reality until visiting Guilin and seeing it for him- or herself. 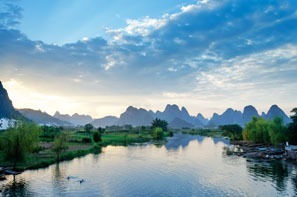 Yangshuo, 65 kilometers to the southeast of Guilin, plays host to this landscape at its best, and now photography has joined traditional ink drawing in deriving inspiration from this unique attraction. The peaks are enhanced by clear rivers providing a cooling foreground enhanced by reflections not only of the peaks, but also of clear blue skies speckled with cloud. 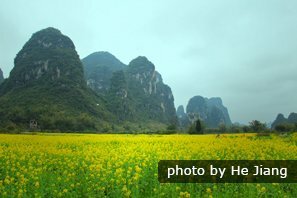 More dramatically, the karst limestone may form stark crags, and the area is luxuriant with often dense vegetation lending an air of mystery. The landscape is not the only attraction. Small villages in the area preserve their architecture and customs, and these too should not be missed in any visit to the area. 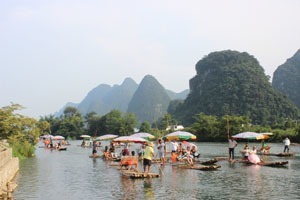 Read more about Li River Photography Tips. Spring, when the rice is either at its most luxuriant just before the harvest, or just after the harvest with the reflective waters. Spring is an unpredictable season in the area, and you may want to even out your chances of getting some good weather by staying a few nights in a local hotel. This affords a further opportunity, namely that of getting up before the dawn and catching the sunrise over the rice terraces, the best time of day to get some very striking images. Not far from Guilin, the Longji Rice Terraces are regarded as one of the must-see, (and must-photograph), side-excursions in any trip to the area. The gentle but steep-sloped rolling hills of the area have been sculpted through centuries into steps upon which rice is grown to present a pleasing pattern that is, at once, both random in the shape of the hills, and strictly geometric in the even heights of the steps that snake around them. As you would expect in a rice-growing area, the air tends to be warm and humid. Though not particularly high, given the high humidity and the abundant supply of water, mists may often roll around the hillsides adding to their charm and mystery. The beauty of rice terraces, for the photographer and for the visitor in general, is the variation across the scenery with changes of light and shadow through the day, and changes in the fields themselves across the seasons. This is seen at its most spectacular at the beginning of May when the rice is harvested leaving only the water behind. The change from the green-fuzzed texture of the rice stalks in the field to the pure clear reflections of the water left behind is dramatic, offering two entirely different feels to precisely the same location in just a matter of a few days. 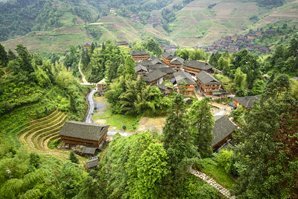 Adding to the area&apos;s scenic interest are the wooden houses typical of the area, nestling into the hillside, and the indigenous Zhuang and Yao people with their distinctive costumes and their unique manner in which the women tie up their exceptionally long hair. Read more about Photography Tips For Longsheng Rice Terrace. For a full list of our photographic tours, see here. A small selection will give you an idea of what it is we can offer the photographer. China, the land of rice, has other magnificent terraces on offer aside from Longji. If you find Longji too far off your chosen route, see our guide to other rice terraces. 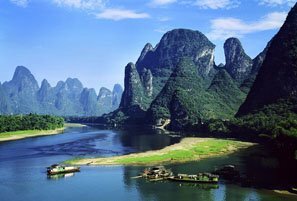 We have more travel tips on photography in our pages, one quite specifically for Guilin and Hong Kong, and a guide to suitably photogenic places quite specifically for the spring visitor, when many of China&apos;s attractions are at their most pleasing. 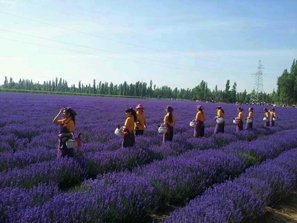 Consider more of China&apos;s most beautiful places, or, alternatively, simply browse our pages and see what takes your eye. See Beijing&apos;s Summer Photography Hot Spots for where to go there for eye-catching shots. 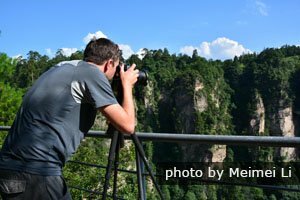 We also have a page of tips and advice on Photography in China. There is a great deal of information on this page alone; all these choices, not to mention the possible pitfalls in the photographic frontier that is China. Then there&apos;s plotting your itinerary once you&apos;ve decided where to go, along with transportation, (sometimes into places well away from the beaten track), sorting out your accommodation, where you should eat, considering taking a guide to make things easier with local expertise... and all you want to do is take photos. China Highlights can help you. Or see our photographic tours to begin with. See something you like? Want to jiggle it? No problem. 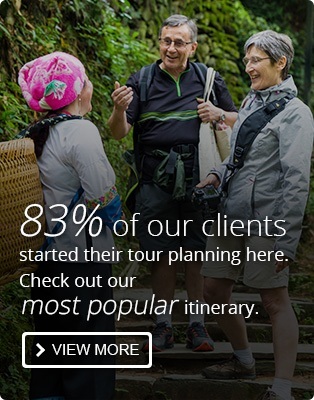 Our tours are always fully customizable. Or perhaps you want to arrange something from scratch? 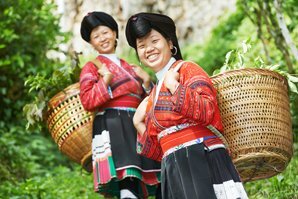 Contact our tour managers and let them help you to create your ideal Chinese photo op. It&apos;s here for the taking, and we&apos;re here to give it to you.